LOS ANGELES (Reuters) - Singer Michael Buble, who releases his new album "Love" next month, has spoken about putting his career on hold after his son Noah was diagnosed with liver cancer. "When you experience something that my family has experienced, it has to change you," he told Reuters on Tuesday. The Canadian singer announced in November 2016 that his oldest son Noah, who was three at the time, had been diagnosed with cancer and was undergoing treatment. "For me, that just made things a lot clearer," he added. "Look! I don't have time. Life is too short to worry and worry what people think about you and say about you. "I think it's just important to be free and somehow find happiness, however you have to do that, however you make that happen, whatever you need. For me, I feel like I wasn't willing to let my joy be robbed by anything or anyone and I sort of just tried to let go." The 43-year-old singer, who released his new single "Love You Anymore," written by Charlie Puth, a few days ago, was humble about his experiences. "There's not one of us that life leaves alone in that way," he said. "That is life and I feel really a gratitude, I learned what the word grace meant to me and I just think that every family handles it differently and to the best of their ability. "I think it's important for all of us to try our best, to be able to look ahead, to try not to dwell too much in the past," he added. The singer recently dismissed reports published in the Daily Mail that he was retiring from music. 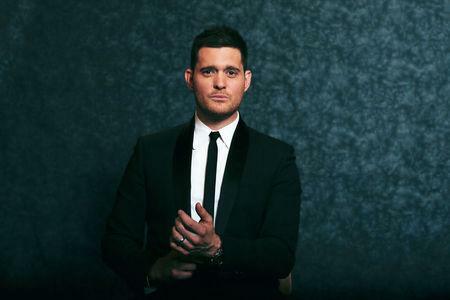 Buble's new album "Love" goes on sale on Nov. 16.